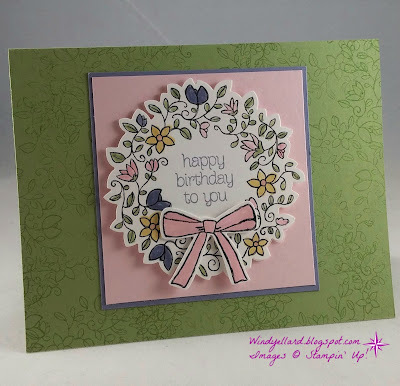 2nd card for June's card classes next week! I knew I wanted to use the swordfish for class as my masculine card! 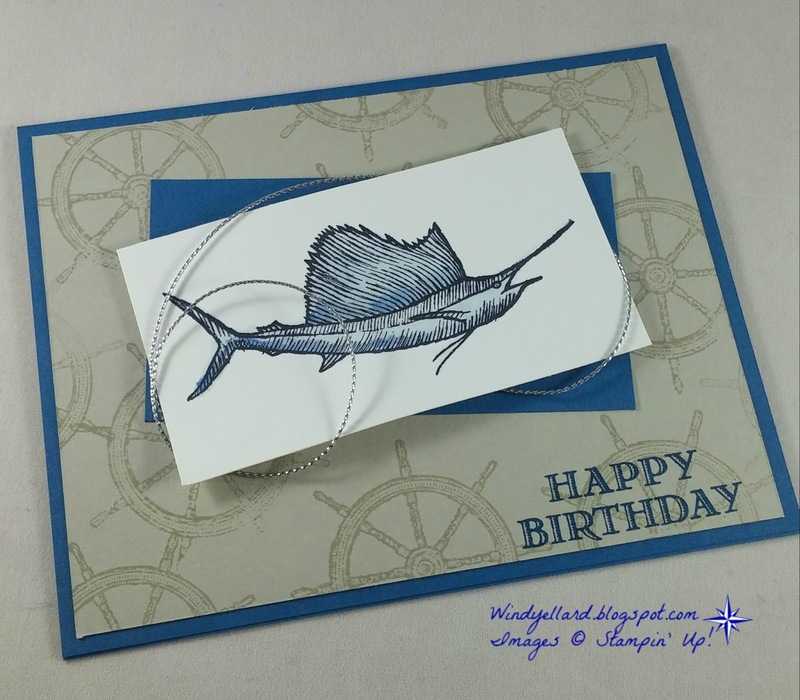 stamp the ship's steering wheel. looks like it is floating in the pic! 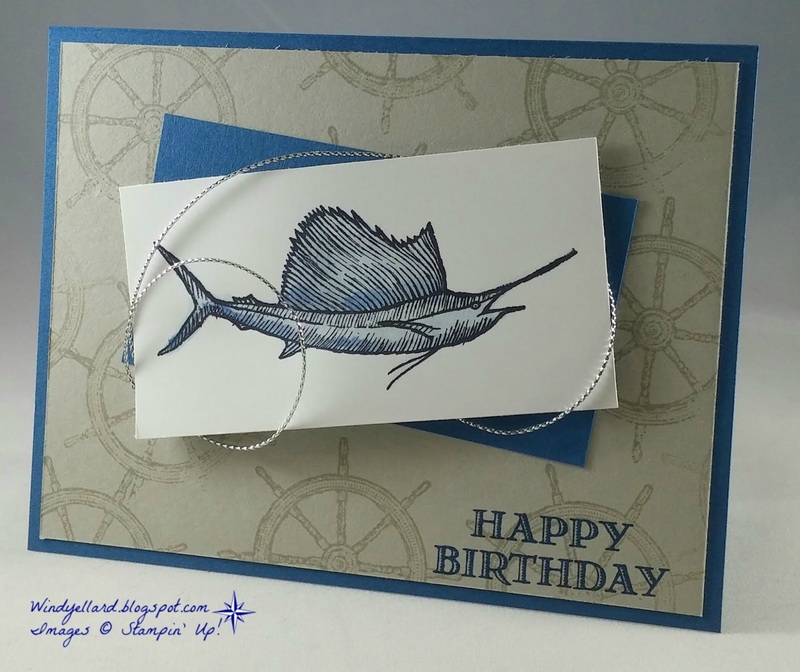 I added some silver cording around to look like fishing wire (or something similar)! but can work for a Father's Day or other occasion! Hope you will have a lovely Tuesday and thanks for stopping by! 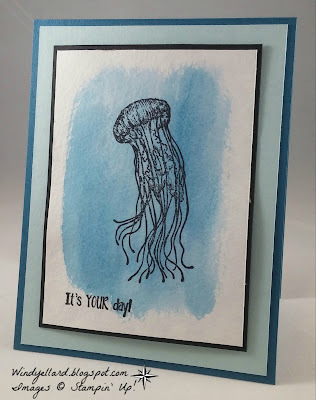 1st card for June's card classes next week! I started this card with some gold embossing! 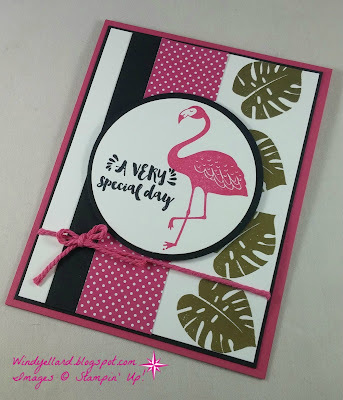 flamingo in Pop of Paradise stamp set! 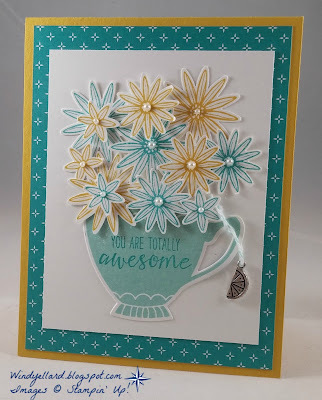 I love this great sentiment in the set also! 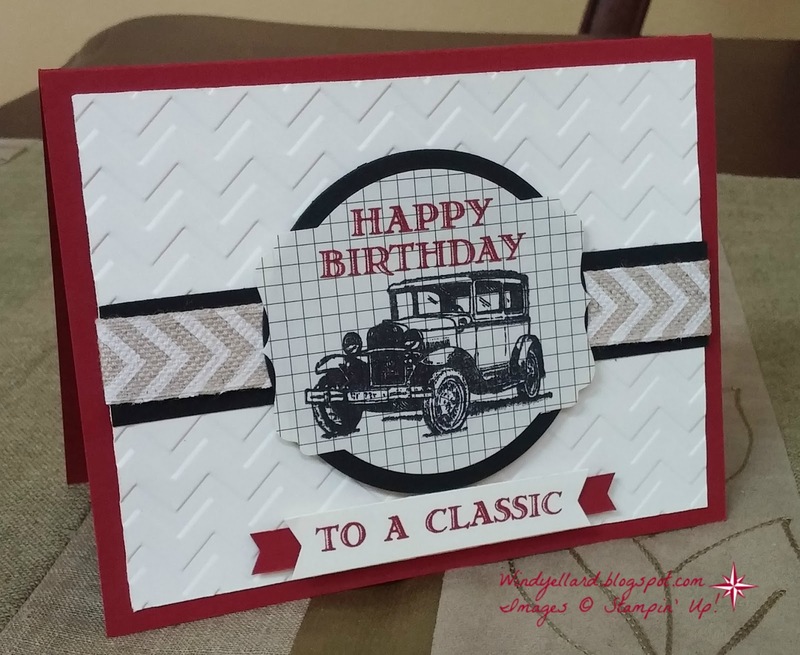 To A Classic With Chevrons! so I will have to get my fix somewhere else. 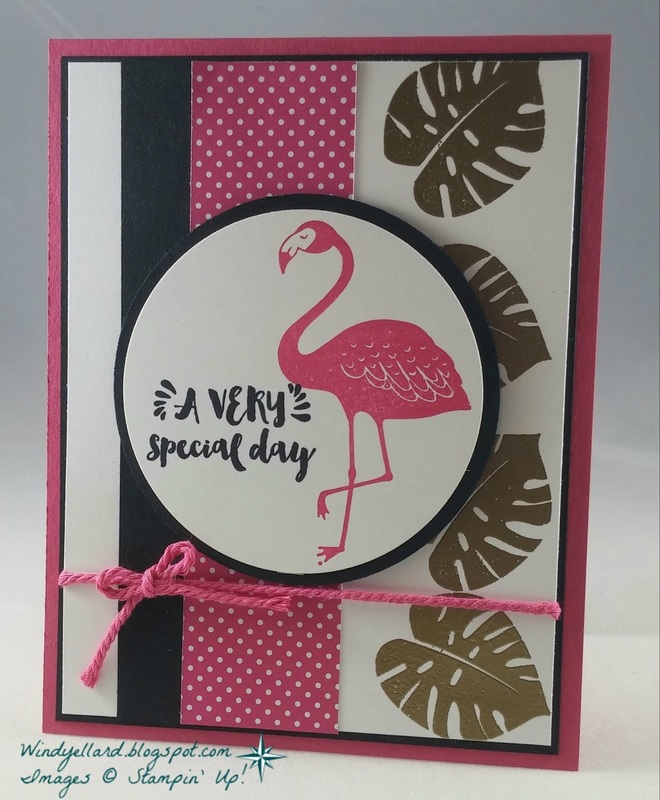 with the retiring Deco Label framelits dies. 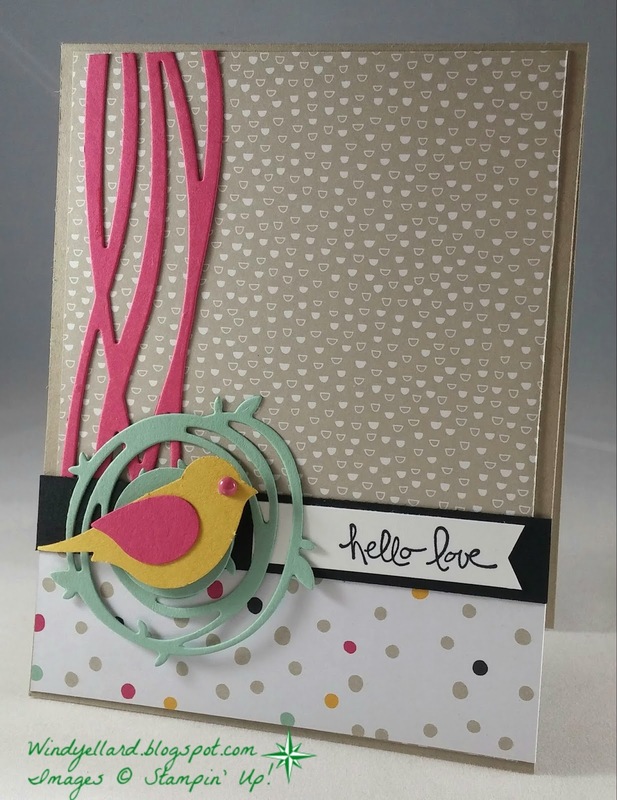 I really like all the layers and texture here! Hope you enjoy your Sunday and thanks for stopping by! 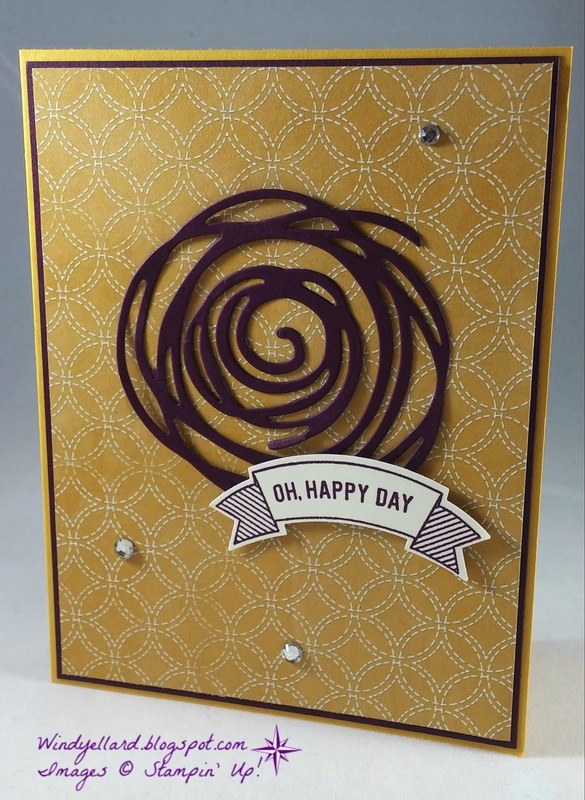 and then ran through the Big Shot with the Brick Wall emboss folder. 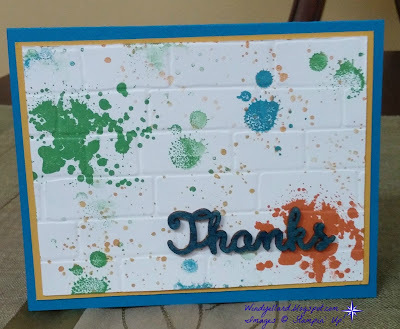 I used my Pacific Point marker to color the Thanks wooden element. Fun card with bright colors! 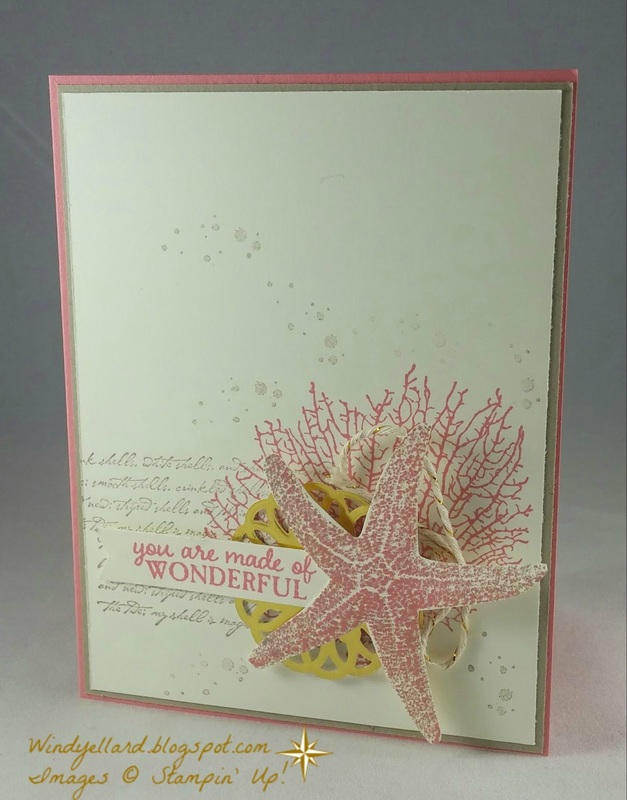 I really love the star fish and how easy it is the snip out! 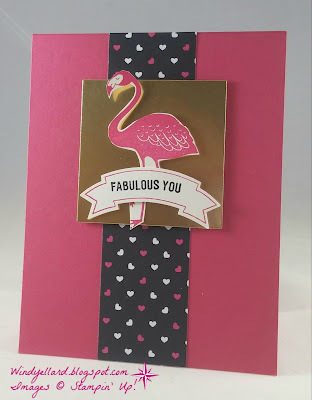 I stamped it first in Crumb Cake and then in the new in color Flirty Flamingo. I stamped the coral and script from By The Tide set retiring. A little ink spots from Timeless Textures and some gold elements finish it off. 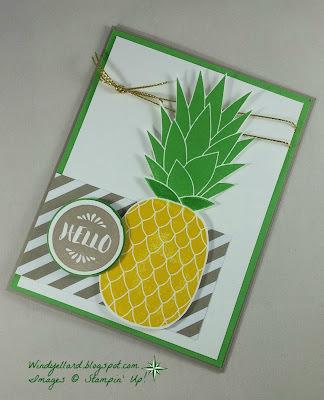 Really like this new in color! I know it will be used much! 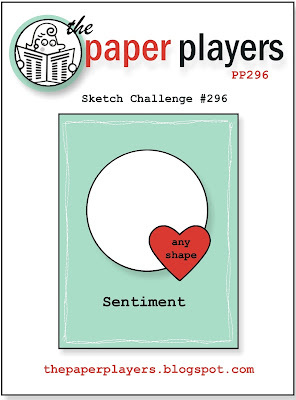 and join the sketch challenge this week! Love the new Pineapple stamp available next week on June 1st! and bottom with Crushed Curry. 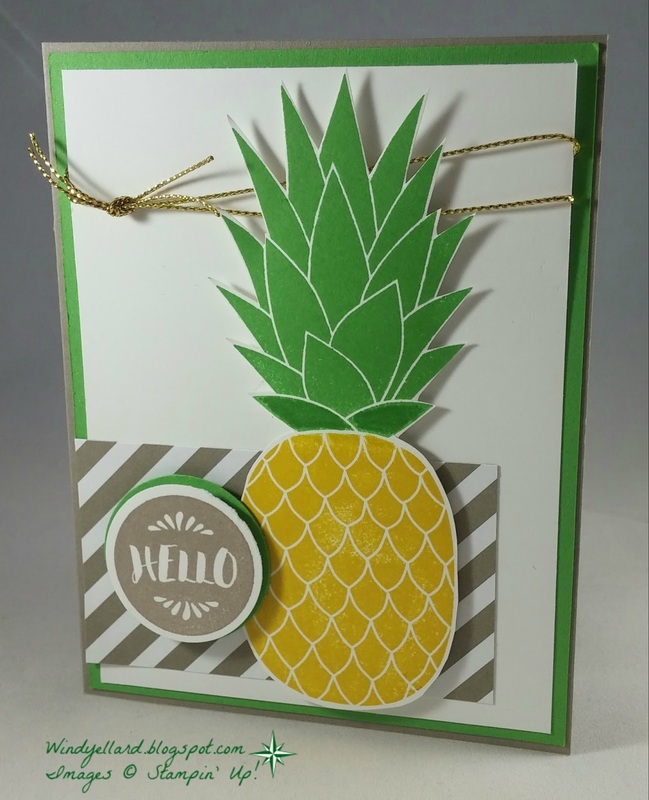 This is not the last you will see the Pineapple stamp! 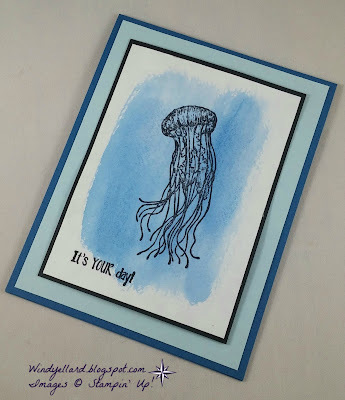 Plan to make some cool stuff with it! 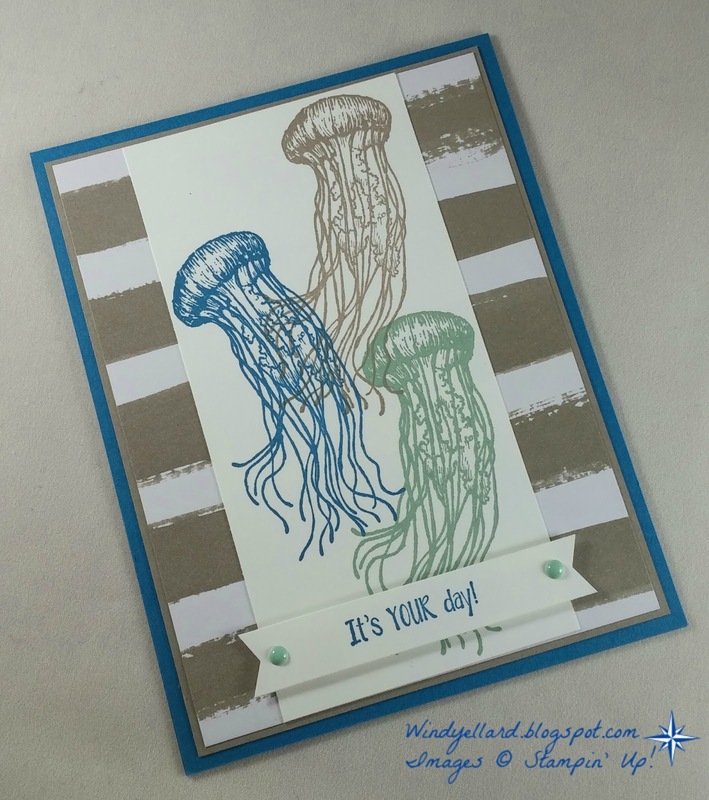 #GDP037 It's Your Day Jellyfish! 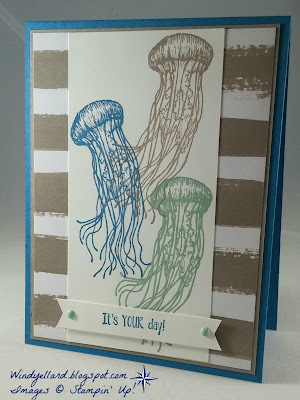 First, I want to say YES I love the jellyfish and I use them lots! why not represent all three colors with the jellyfish!?! 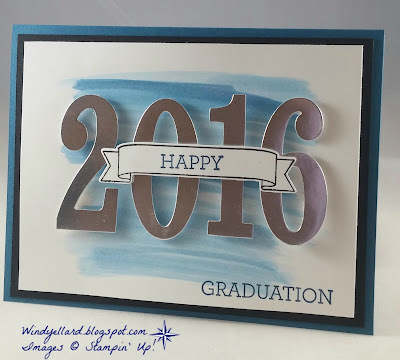 I grabbed some bold DSP from the Go Wild DSP paper stack about to retire! 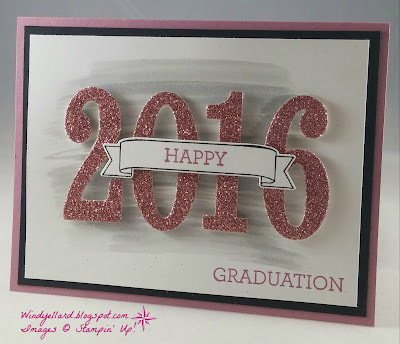 Love the sentiment from Confetti Celebration..probably will use this one a lot! 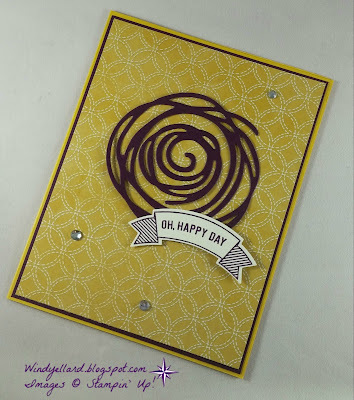 PP296 O, Happy Day Swirls! 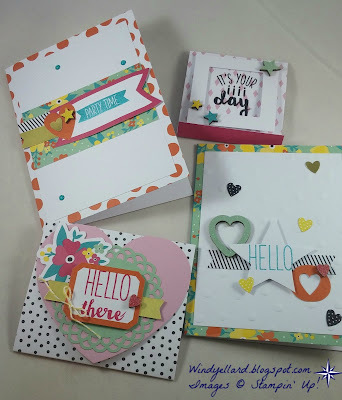 along with Thoughts Banners set and matching punch! Grabbed some retiring DSP and in colors that will be missed! 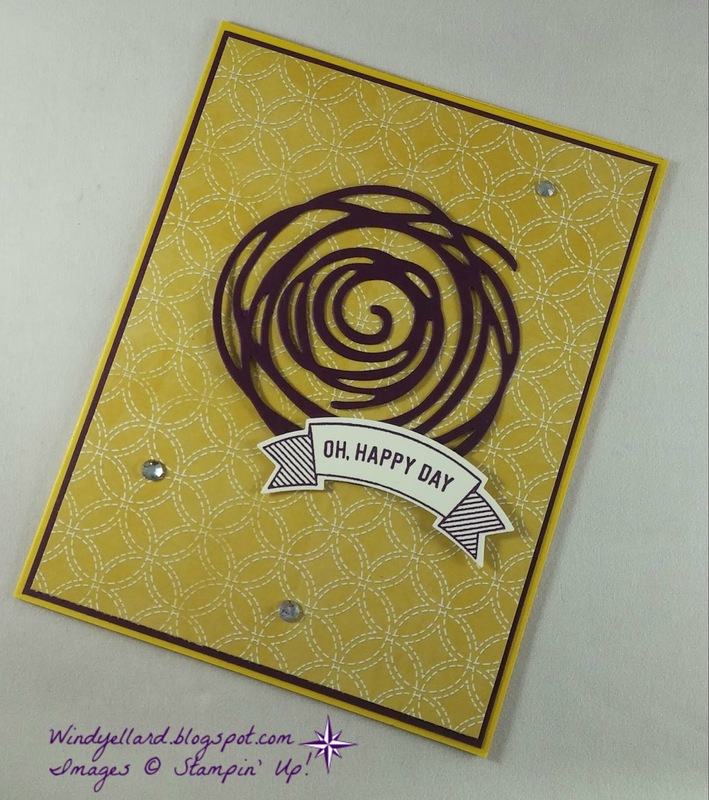 The two different swirls were added to center of card and a little bling finished it off! O Happy Day Card Kit! 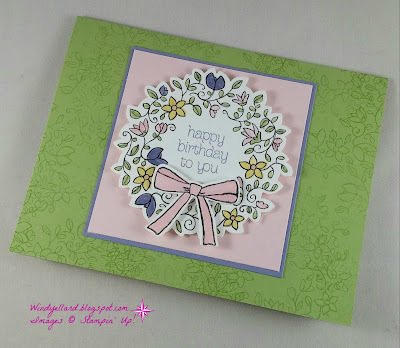 This is the best card kit I have ever done with SU! new SU! 2016-2017 catalog! You can find it on pages 6-7.
but it makes 20 adorable cards with loads of accessories on them! Great easy directions come with the kit and what you will need (ink and adhesive)! 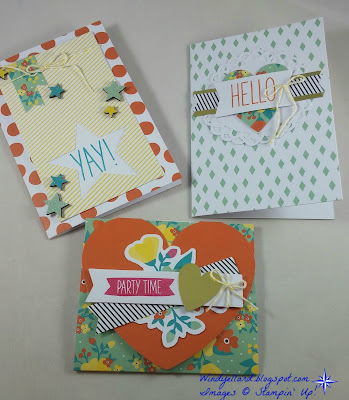 Here are some of the cards Amanda and I made this past week! Here is my almost 21 year old happily stamping! We did the kit in two days (half one day and then finished up the next day). catalog starting June 1st, 2016. 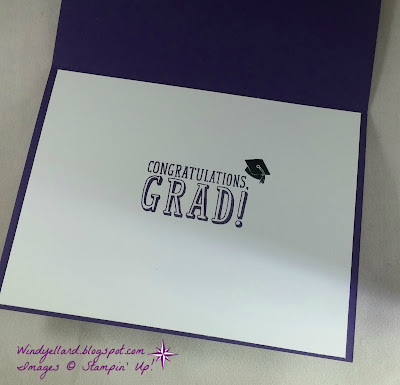 Large Number Grad Cards-Masculine Version! This is my masculine version of yesterday's grad card. I have two boys who would really not care for all that pinky/purple! I grabbed the new Dapper Denim and Basic Black with silver for this card! over that..very quick and easy! 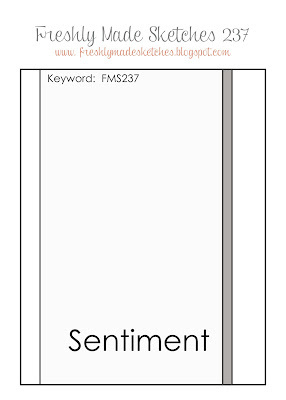 to give it a sliver feel. Really fast and easy grad cards for three special girls! FMS237 It's Your Day With Balloons! 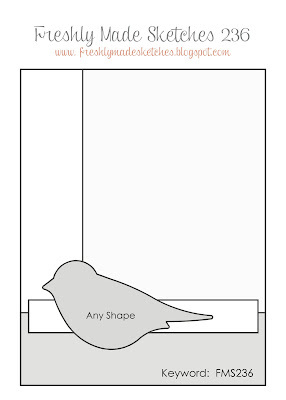 except for one so it would stand out. with the matching punch. 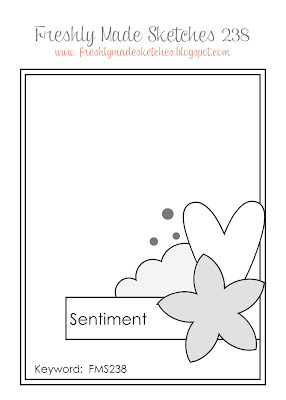 The sentiment is from Confetti Celebration. 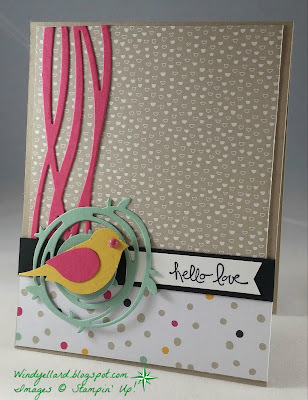 Very quick and simple card...hope you can play along with the sketch challenge this week! before the set and the great DSP retires at the end of the month! 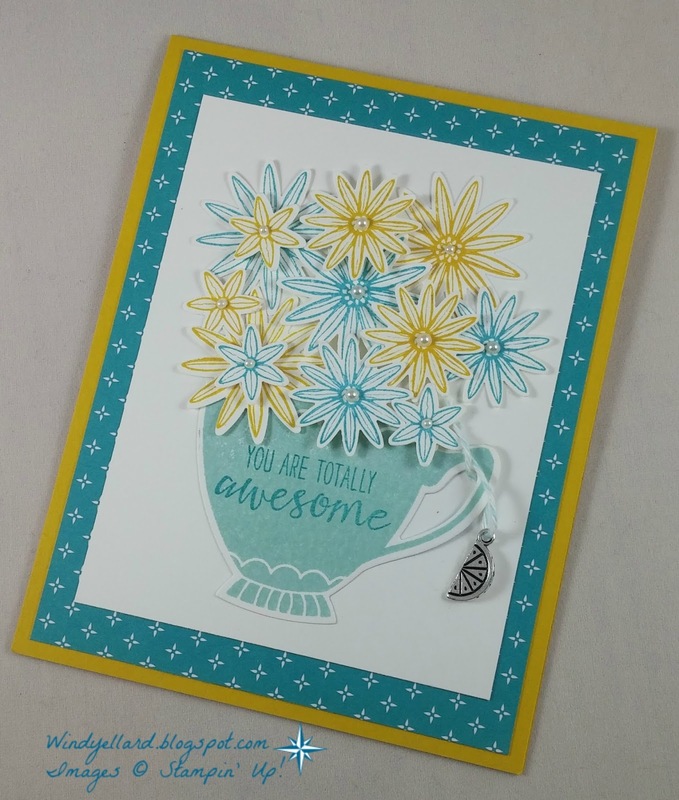 I stamped the cup in Pool Party and then used one of my fav sentiments on it! and fellow Pal, Ann Schach from stampinchic.com said, "yes, pearls on everything!" I also added a cute lemon charm because I could! 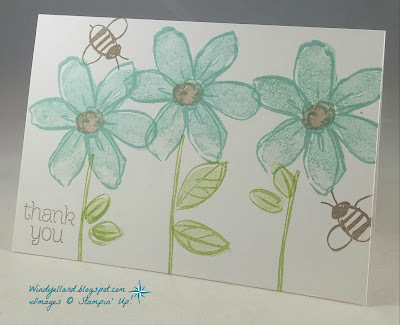 and made a simple thank you card! 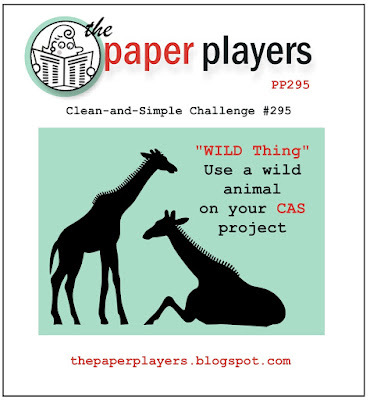 Love how no other paper is required! I took from the color combo and flower theme to deign my note card. but just added some Pear Pizzazz for stems/leaves. 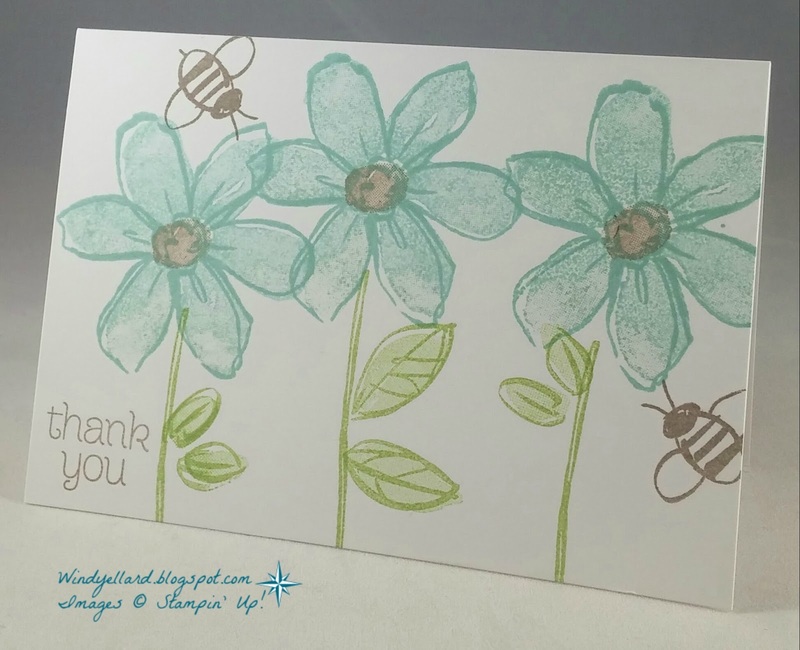 Always love the bee, too! 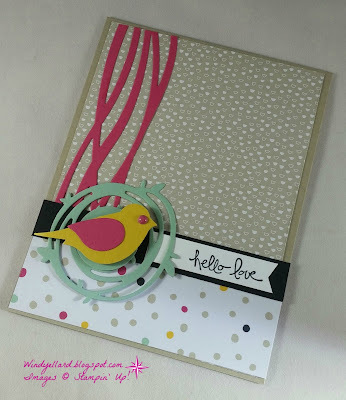 I pulled the sentiment from the cute Circle of Spring! 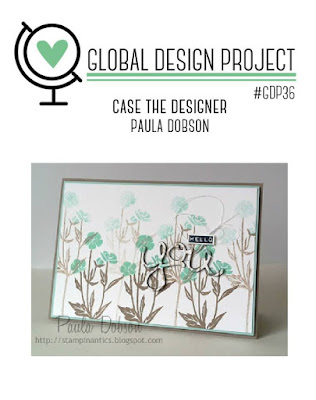 Hope you can play along at global-design-project.com this week! 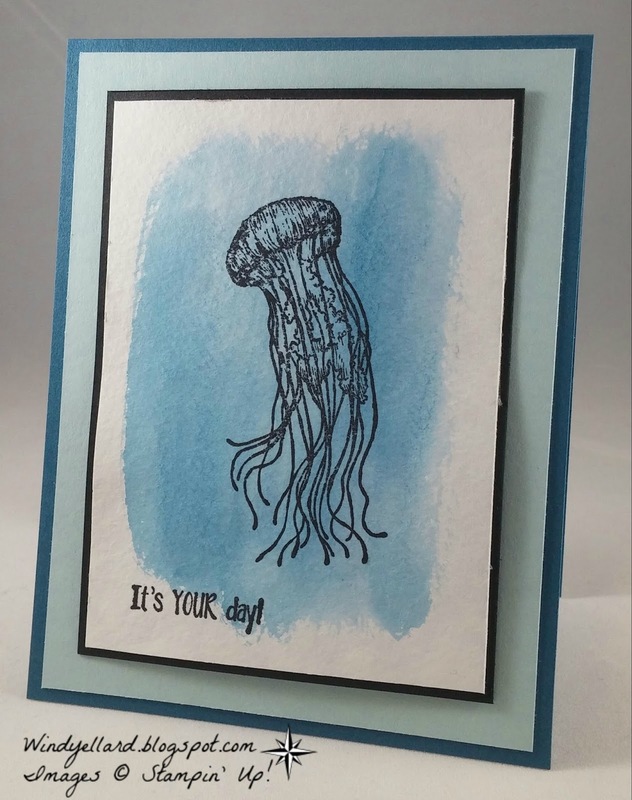 Jellyfish are wild and I like them a lot so it was a natural pick for my card today! Confetti Celebration available along with the new in colors on June 1st, 2016. 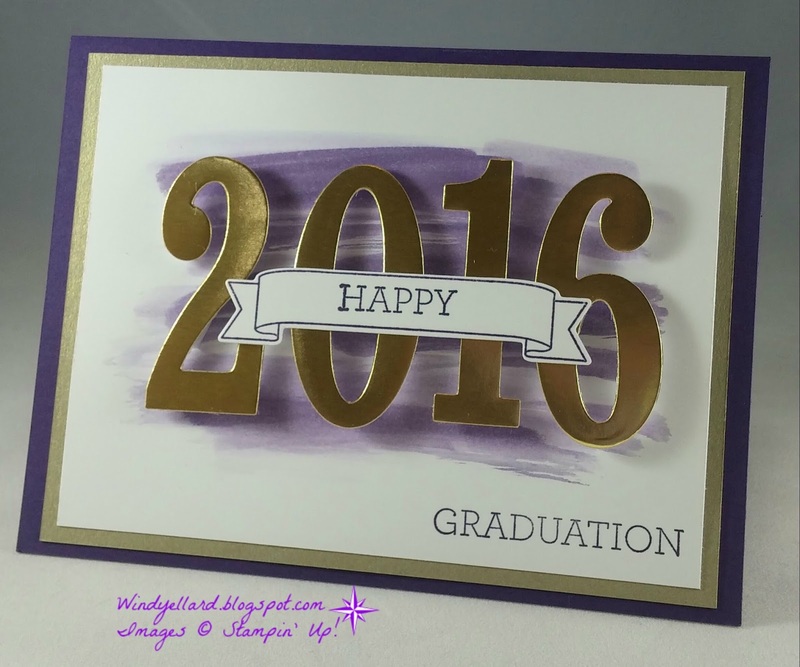 My first (but not last) grad card for this year! I have had this sketch in head for a while. I made this one for a customer who asked for these school colors for a friend. Purple is never a problem with me and I love it with some gold! 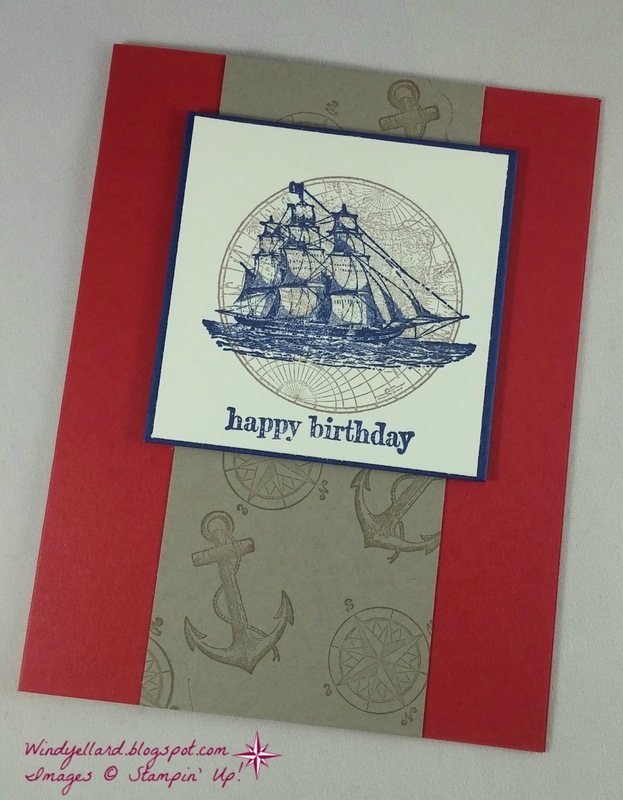 cut out with Gold foil paper. The words Happy and Graduation are from my Crazy About You set. Inside was stamped with BYOP stamp set and a little hat from a Paper Pumpkin kit. looked like a bird's nest so stayed with that shape for my focal. 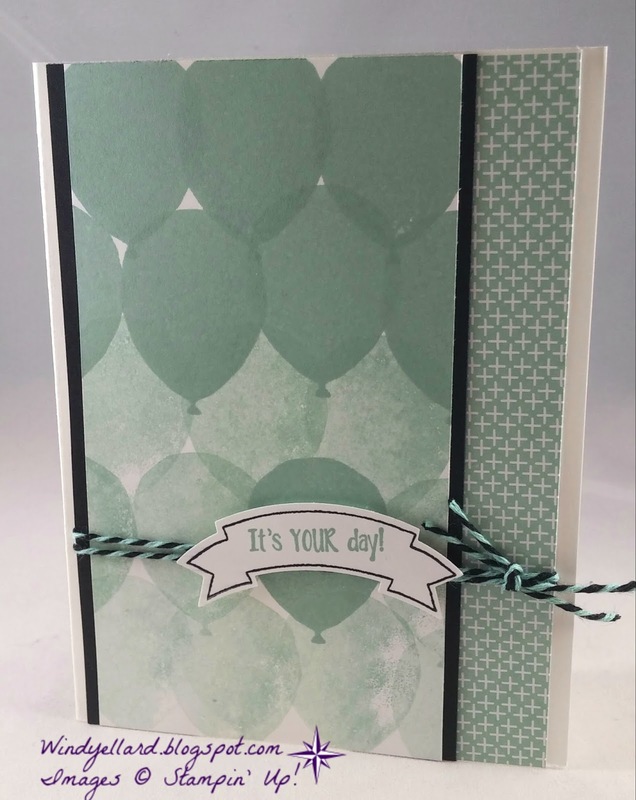 I grabbed some It's My Party DSP and went with those colors for my color scheme. 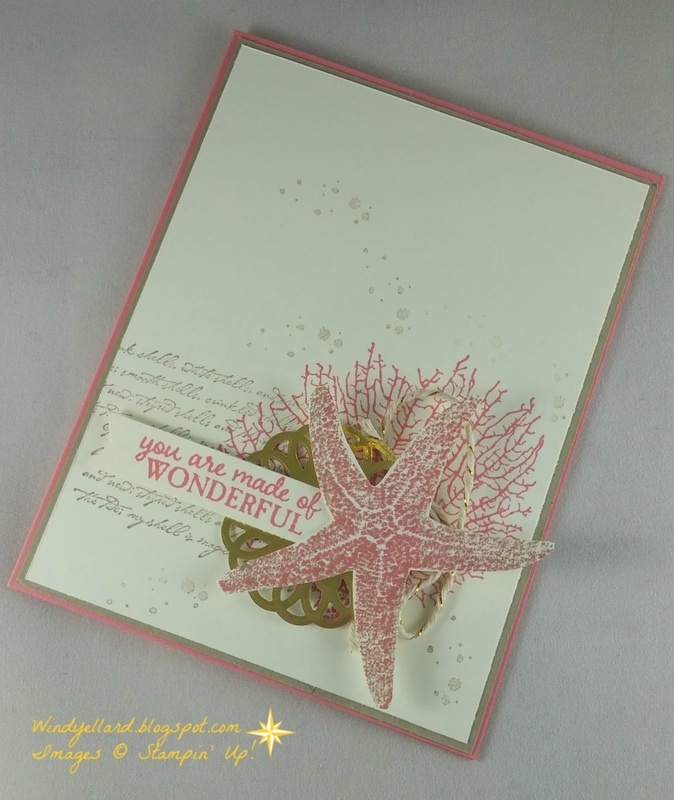 Pop Of Paradise With New In Colors! I cut for class this past week. 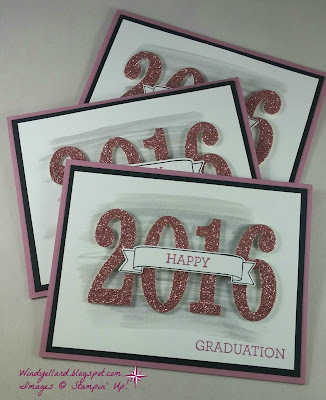 These are Z fold cards. was perfect for these colors! 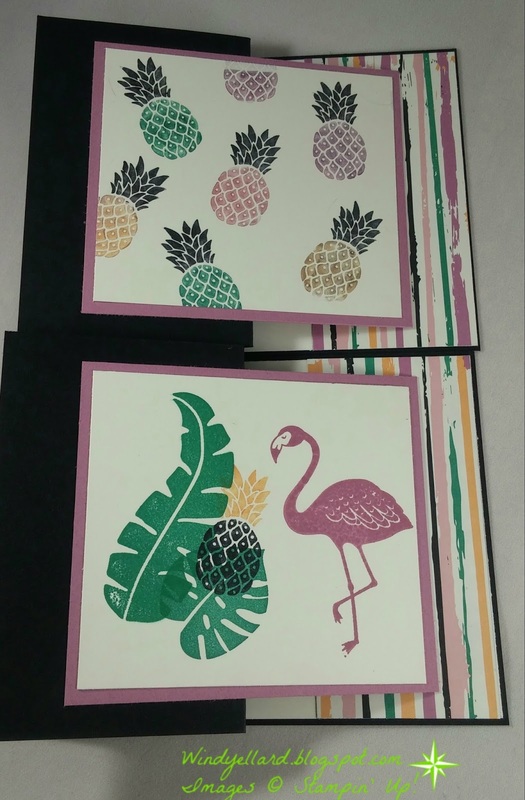 Love the flamingo and the pineapple! this week. 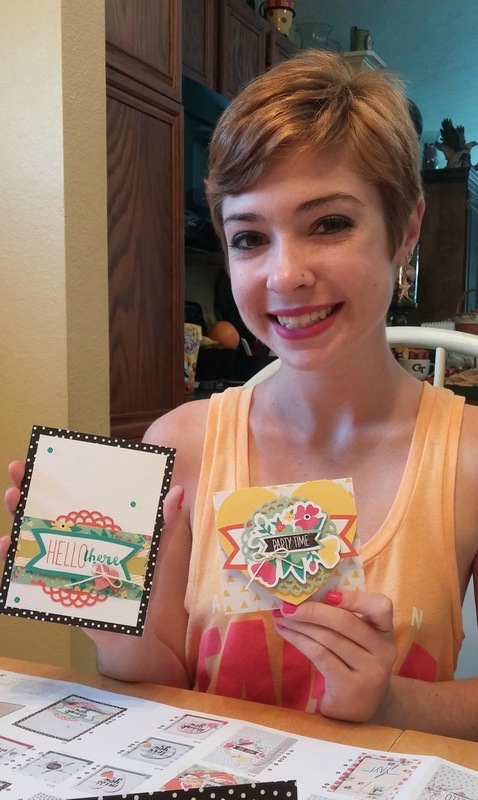 She changed up my design and did an awesome job! Just realized when posted that this fits the PPA sketch challenge this week! Fun! 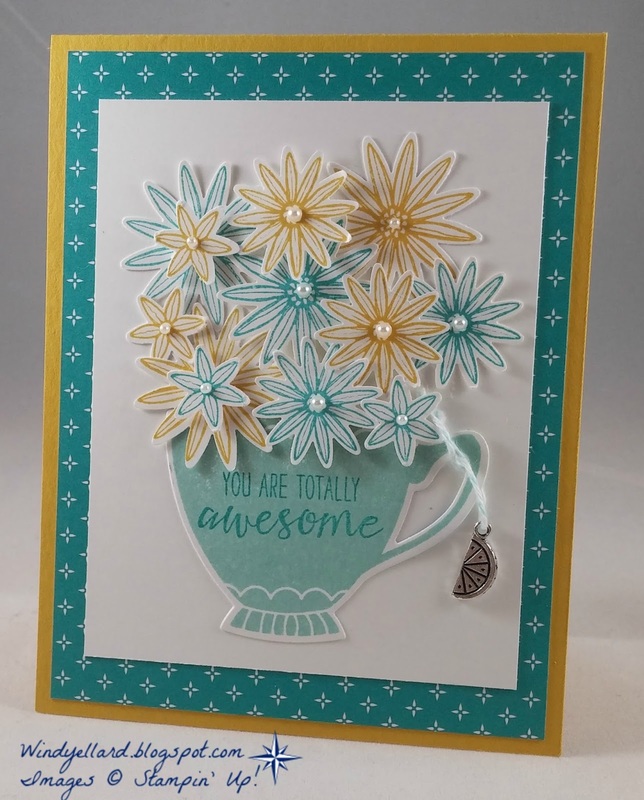 Love this set and it will stay in my stash in though it is retiring! Playing with new product that will be in the new 2016-2017 SU! annual catalog! 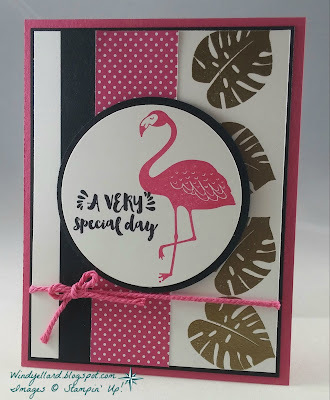 I used new DSP called Pop of Pink and a new stamp set called Pop of Paradise! This is where I got my color combo..Pink and Black and Gold! I also used a new set and punch that are bundled together for sentiment...love bundles. Set called Thoughtful Banners and punch called Duet Banner punch. 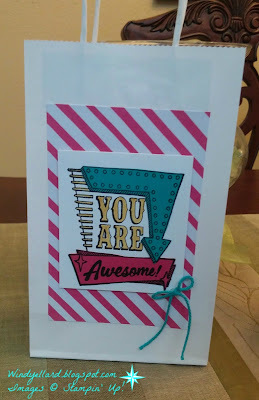 So fun o have new tools...now wish I could cut/paper snip well! We all received this awesome stamp set in our bags last month at Onstage Live in SLC! or paper piercing like I did with a few different colors of card stock. I colored the You Are with my Daffodil Delight marker. Lots of cutting but it was easy and fast! 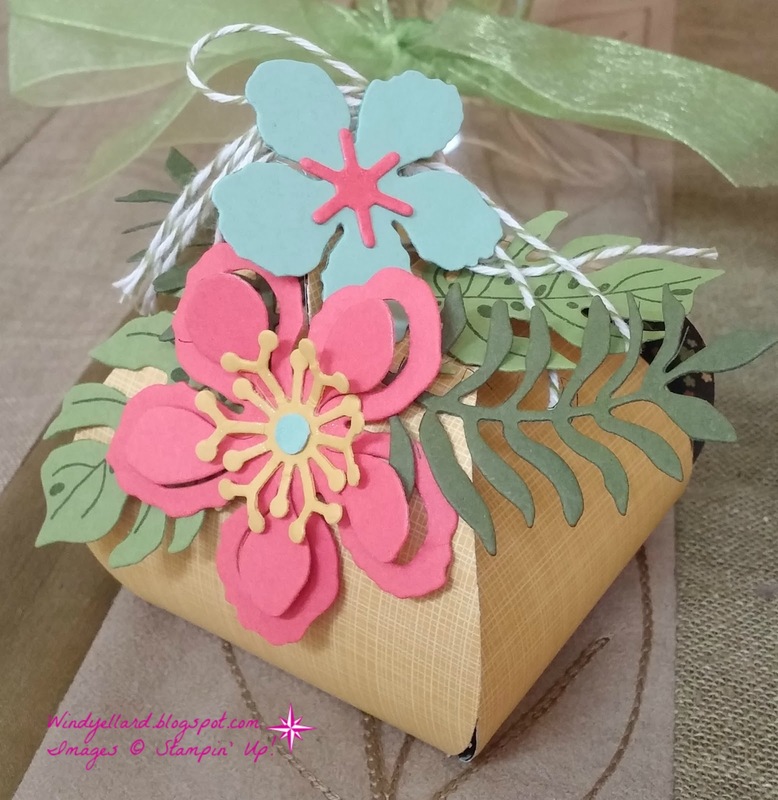 Sweet curvy box with tropical flowers! 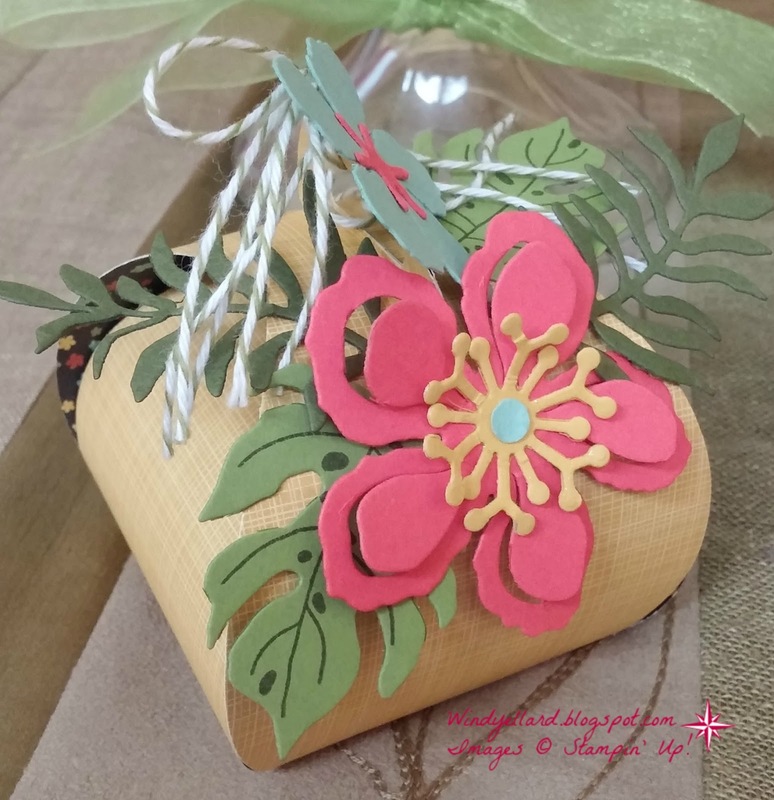 The dies from Botanical Builder framelits make it real easy to decorate anything! 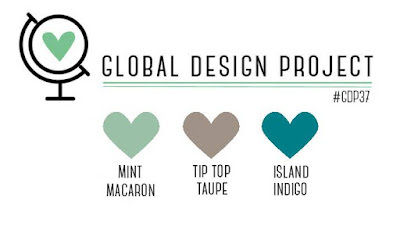 I thought of this set when I saw these colors! 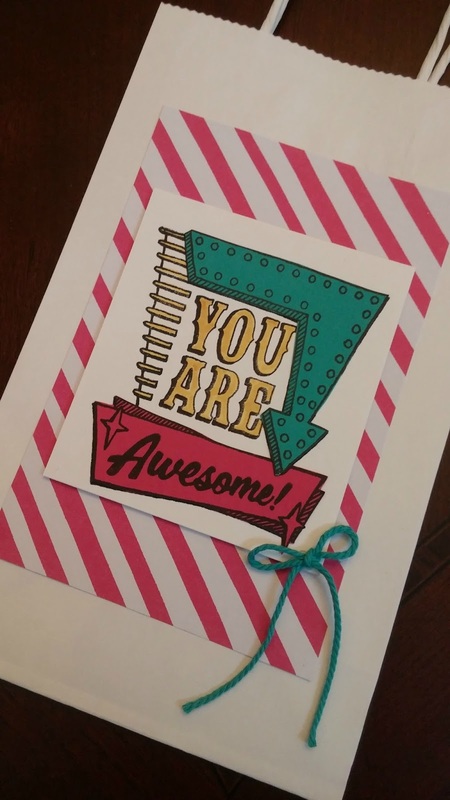 I also have a challenge from my upline to case the catty-the new catty! 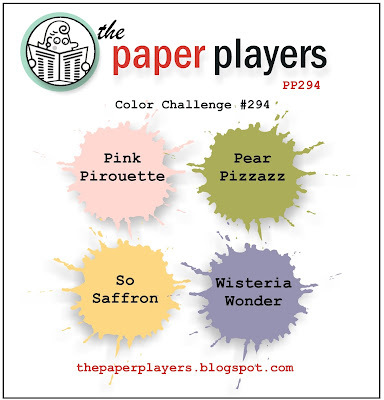 but using the colors for the color challenge this week. It makes for a happy card! 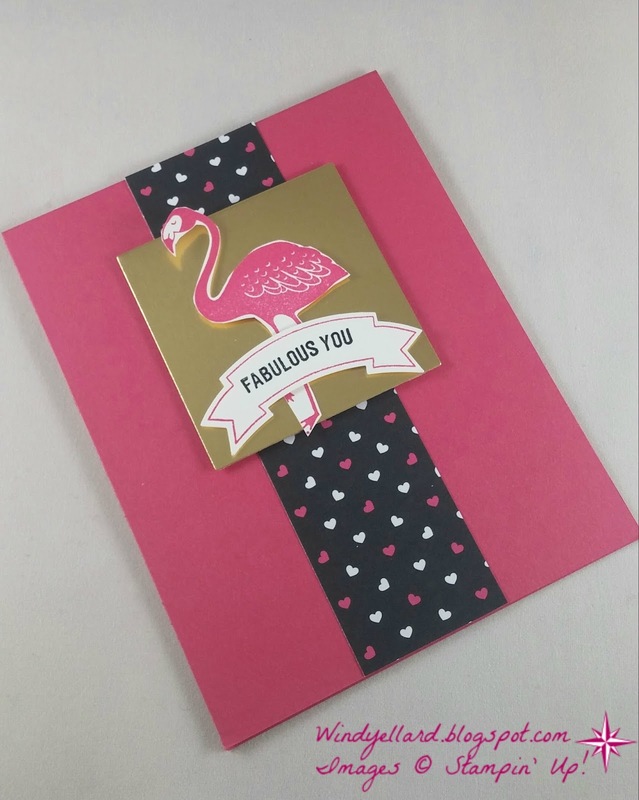 New In Color Sneak Peak With Z Fold Card!